The manufacturer of Sensor DO-10.A is LLC MicroSensor. 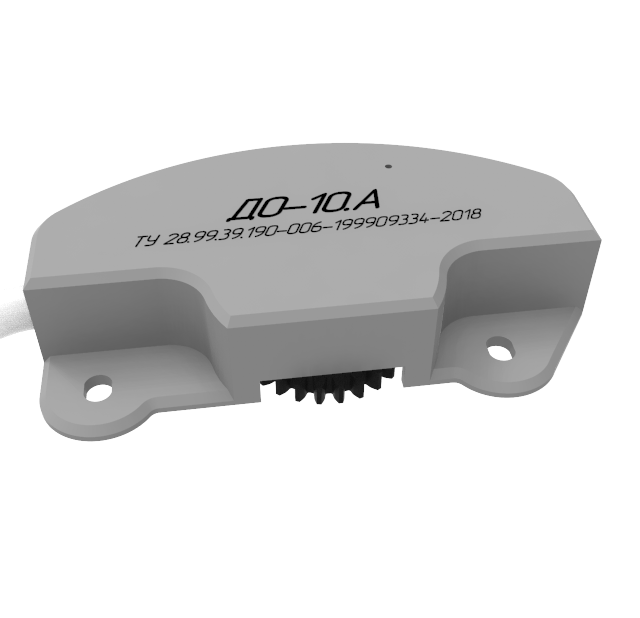 Sensor DO-10.A is designed to convert the angle of rotation of the shaft of the volume meter of the PPO-25 / 1.6 and PPO-40 / 0.6 liquid meter (manufactured by Prompribor OJSC) into electrical pulses (signals). The transmission of pulses is carried out through two independent pulse channels. In the sensor, the mode of "determining the direction of rotation" is implemented. The product is intended to work in the hazardous area, and has an explosion protection marking of 2Ex mc IIC T6 Gc. Product weight: no more than 80 gr.